This is a small naja pendant with extremely detailed decorative work. This could be worn on Sterling beads of 4 mm. diameter, but it would be particularly nice on a leather cord. We include a black leather braided cord with this piece. It's a simple, understated piece of sheer elegance. 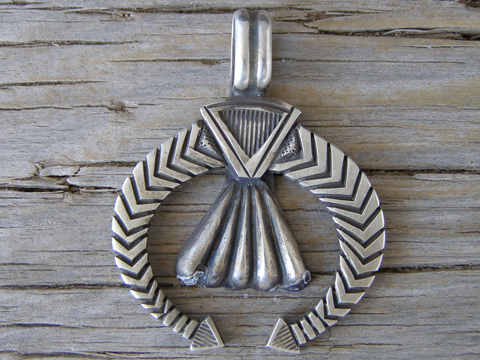 Dimensions of pendant (excluding bale): 1 1/2" x 1 3/8"